Stay Out of the Spam Folder‎ - Optimize your email marketing for engagement - Stay GDPR Compliant. Trust the experts of Horizon Cyprus. Organically building your email list is a long-term play that will benefit your email program. It’s not the easiest or the fastest way, but it’s the most effective. The EU General Data Protection Regulation (GDPR) is billed as the most important change in data privacy regulation in 20 years. Many event marketers haven’t even heard of it. Did you know that at least 91% of consumers check their email on a daily basis? That can’t be said of any other communication channel. Your email list will not be as effective without proper segmentation. 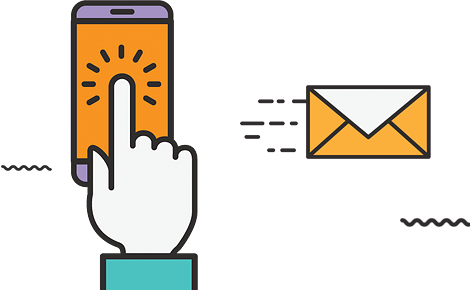 Email list segmentation is the process of breaking your subscribers into smaller groups based on specific criteria, so that you can send them more personalized and relevant emails. Email converts better. People who buy products marketed through email spend 138% more than those who do not receive email offers. In fact, email marketing has an ROI of 3800%. That’s huge! On any social media platform, your account (with all your fans) could be suspended or deleted at any time, for any reason, without notice. However, you own your email list. No one can take those leads away from you.